We are currently offering Free Shipping on the majority of our items for a limited time. Additional shipping charges may be applicable if your shipping address is in an area where land common carrier service is unavailable or limited and your location is remote. If your shipping address is in such an area, we will contact you regarding the additional shipping charges prior to processing your order. Any shipping location requiring air transportation will result in additional shipping charges. 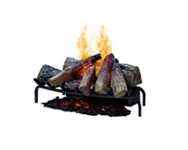 We will ship your order using the fastest and most reliable method. 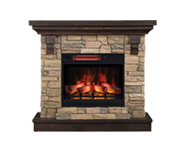 Generally our smaller, lighter electric fireplaces will ship via Purolator or FedEx Ground. 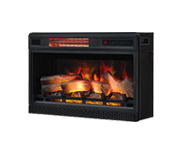 Larger, heavier electric fireplace packages ship via a truck freight carrier. Ex: YRC Transportation, FedEx Freight, or UPS Freight. Order status: click here for online status, email [email protected] for questions regarding order tracking or call 888.867.1172. 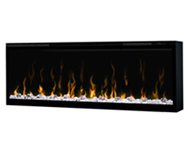 Our smaller, lighter electric fireplace products ship via Purolator or FedEx Ground. Depending on how close you are to the shipping warehouse, your item will arrive between 4 and 8 business days after it leaves the warehouse. Purolator and FedEx Ground do not typically require a signature and will leave the package in a suitable place near your door. Purolator/FedEx Damage: Please notify us within 48 hours at [email protected] or call 888.867.6056. 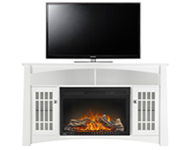 Larger, heavier electric fireplace items or packages ship via freight carrier. As defined by the trucking industry, Home Delivery means "curbside delivery" in a residential area. You may need assistance to move the package indoors or you might un-box the shipment and carry each piece inside individually. Some drivers will assist in getting a shipment into a garage or carport. For Truck Freight shipments, delivery usually takes between 4 and 8 days from when your order leaves the warehouse. When your shipment arrives at a nearby terminal, you will be contacted by the freight carrier to schedule a delivery appointment. Most companies offer appointment windows (usually 2-4 hours) between 8:00 am and 5:00 pm EST, Monday through Friday. NOTE: The most important thing to remember about truck freight is that when you sign for the delivery you are legally accepting the product as delivered in good condition. Therefore, it is extremely important that you inspect the product prior to signing the delivery receipt. If there is any damage, please write "CONTENTS DAMAGED" clearly on the delivery receipt that the driver is asking you to sign, then sign. 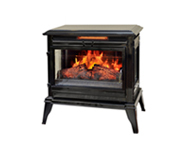 This insures that your damage issue will be easily resolved. Freight Carrier Damage: Please notify us within 24 hours at [email protected] or call 888.867.6056. You will be charged appropriate GST and PST (if applicable) at time of purchase. All Duty and Brokerage fees are included in retail price.